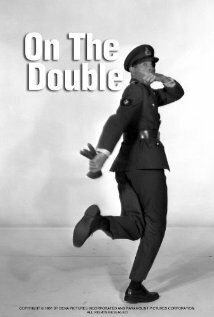 Buy or Rent On the Double (1961) Movie DVD & BluRay Online! Movie Plot: American GI Ernie Williams, admittedly weak-kneed, has an uncanny resemblance to British Colonel MacKenzie. Williams, also a master of imitation and disguise, is asked to impersonate the Colonel, ostensibly to allow the Colonel to make a secret trip East. What Williams is not told is that the Colonel has recently been a target of assassins. After the Colonel’s plane goes down, the plan changes and Williams maintains the disguise to confuse the Nazis about D-Day.